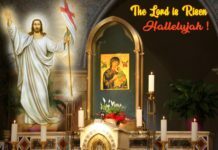 The feast of union, love, and proclamation of the Good News. 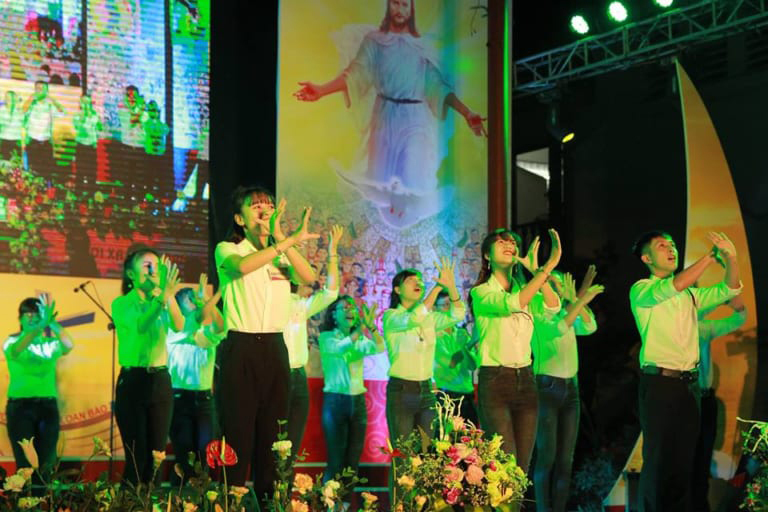 (Hanoi, Vietnam) In response to the need of the Catholic immigrants, the Redemptorist community organized the Immigrants’ Festival 2018 at OMPH Shrine Thai Ha, Hanoi. 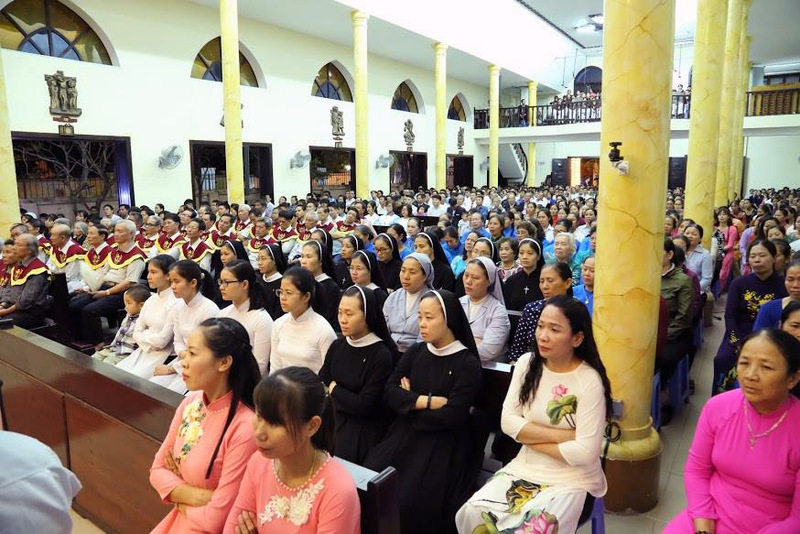 The festival took place for three days 19, 20 and 21 November with the theme: “Imitating Vietnamese Martyrs, immigrants go into the world and proclaim the Good News.” This was a good opportunity for immigrants together to contemplate the examples of Vietnamese Martyrs who were persecuted and killed for the Catholic Faith. 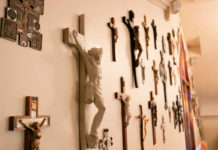 Inspired by their ancestors, immigrants witness the Resurrected Christ in the modern world. 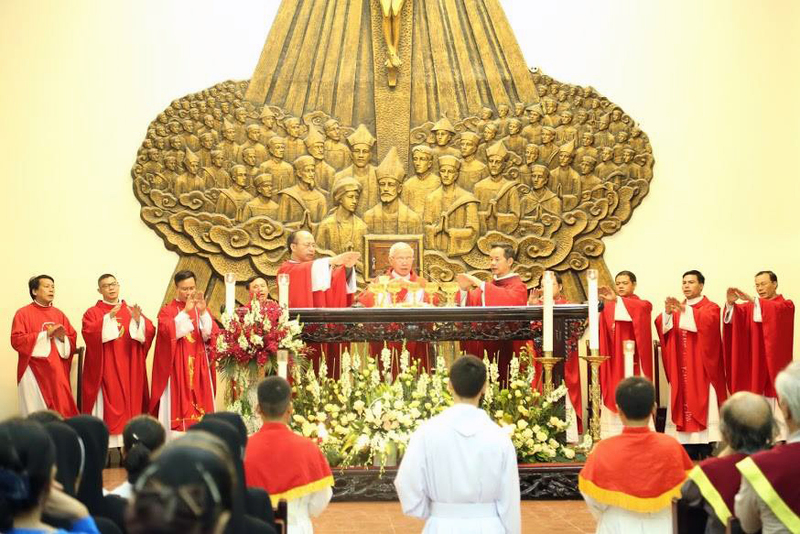 Thousands of immigrants came to OMPH Shrine to participate in the activities of the festival. 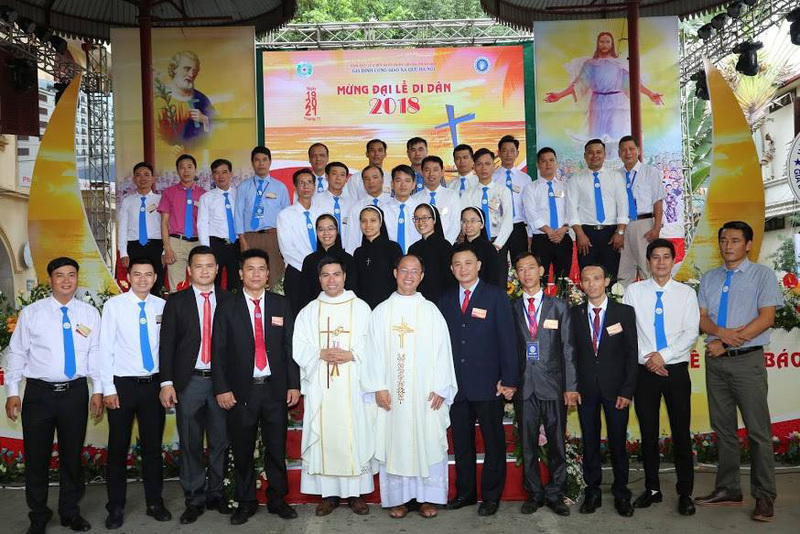 Bishop Alphonsus NGUYEN HUU LONG, the Provincial Joseph NGUYEN NGOC BICH, Bishop Joseph NGUYEN VAN YEN and all the member of Redemptorist community in Hanoi were present for the Eucharistic celebrations. 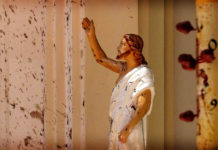 This expressed the love and care of the Church’s leaders to the faith and lives of immigrants. 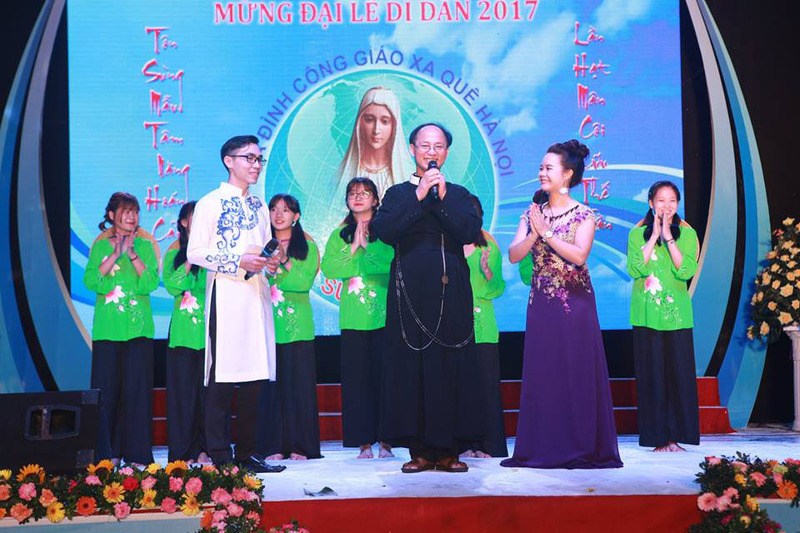 Besides the liturgical ceremonies, there were various activities like games, Catechism-Bible-Vietnamese Martyr’s competitions etc. The OMPH was packed with people as they attended the music performances for three nights. All activities during the festival were live-streamed through social pages like YouTube and Facebook Fanpage: Gia đình Công Giáo Xa Quê Hà Nội (Catholic Family in Hanoi). The live-streamed programs were viewed by thousands of people. 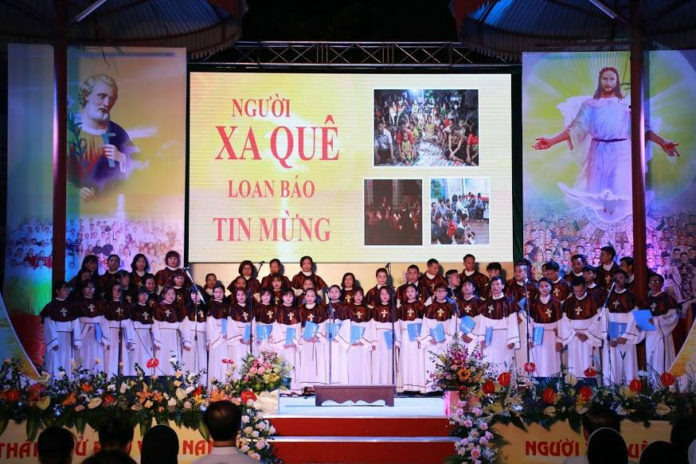 The success of the Immigrants’ Festival is a sign of immigrants’ union in Christ, in His Love and determination to imitate Vietnamese Martyrs to go into the world to proclaim the Good News.